Clarinetist Bill Payne is a bold but sensitive improviser from the pianist Lennie Tristano’s school of musical thought. 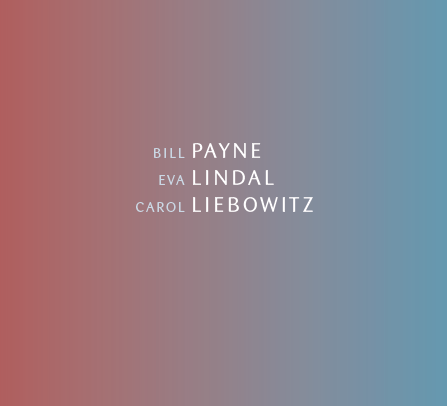 Violinist Eva Lindal has a solid footing in the Avant-Garde western classical tradition. Carol Liebowitz is an urbane and dramatic pianist who creates unique blends of jazz and free improvisation. All three have long associations with pianist Connie Crothers, herself a Tristano disciple. This provocative and challenging album defies narrow genreism and may not appeal to the casual listener. Those with open minds and receptive ears, however, will find much to savor in the high caliber musicianship and intelligent, electrifying artistry that define the disc.